What else can help regulate blood sugar levels and potentially increase your fertility? Ginseng, or Panax Ginseng, a Chinese herb often used in Traditional Chinese Medicine as a tonic, can have many different outcomes on one’s health, including improving fasting glucose levels and improving mental functioning. Many studies show that this herb can regulate insulin levels and bring the body into homeostatsis, the optimum place you want to be in for conception. But not all ginseng is created equally. Consult with your fertility health care provider or fertility acupuncturist who studies TCM (Traditional Chinese Medicine) so you can get a customized TCM herbal formula to optimize your fertility in the most effective way possible. Vitamin D is a fat-soluble nutrient that we create in our skin naturally when we are out in the sun. 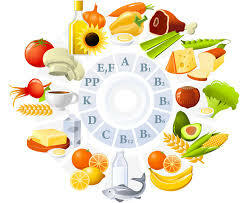 We can get Vitamin D in food as well, such as fish and egg yolks. When someone has low levels of vitamin D they are more prone to developing Type 2 diabetes, and low levels are linked to Type 1 Diabetes as well. This vitamin is crucial for hormonal health, blood-sugar/insulin balance, immune health and even egg quality and ovarian health. If you are trying to conceive (TTC) please refer to your fertility health care provider to make sure you are taking to best things to optimize your fertility and balance your health. Infertility is not only problematic for conception, but certain indicators within the fertility diagnosis may mean detrimental health issues down the road, and a shorter life! Taking care of yourself is not only great for optimizing fertility and getting pregnant with a healthy child, but for your life.